It’s not a game. 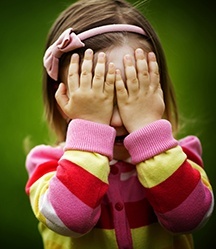 Over a million children were invisible in 2010, and even more will disappear from sight in 2020. Since 1980, the U.S. Census has been undercounting children under 5. The 2010 census failed to count almost 1 million younger than age 5, according to the Annie E. Casey Foundation’s 2018 KIDS COUNTData Book. Of particular concern--but not especially surprising, if you think about it--is the fact that children of color, those of immigrant families and those who live in low-income areas are most likely to be undercounted. In 2010, the undercount rate for Latinx children under age 5 was 7.5 percent; the rate for black or African-American children was 6.3 percent. In contrast, the undercount rate for children who are not black or Latinx was 2.7 percent. These children were already underserved. Now, they are invisible. "If we don't count children, we render their needs invisible and their futures uncertain,” warns Casey Foundation President and CEO Patrick McCarthy. FQHCs and safety net providers may end up with even fewer resources. This undercounting has a very real impact on the health of the most vulnerable children. It puts at risk hundreds of millions of dollars of federal funding. According to the foundation, roughly 300 federal programs use census-derived data to allocate more than $800 billion per year, including Medicaid; the Children’s Health Insurance Program and an array of other programs that serve these children. “A major census undercount will result in overcrowded classrooms, shuttered Head Start programs, understaffed hospital emergency rooms and more kids without healthcare,” McCarthy warns. It will also have a long-term impact on public health. “Epidemiologists use census data for everything from monitoring asthma hospitalization disparities to understanding populations affected by natural disasters like Hurricane Sandy. If the 2020 census doesn’t capture accurate population counts for children, it will become much more difficult to monitor children’s health trends in the coming decade,” writesDoug Strane, an epidemiologist and children’s health policy researcher at PolicyLab at Children’s Hospital of Philadelphia. Mistakes are to be expected in such a massive undertaking. But these mistakes aren’t randomly distributed: They disproportionately affect little kids. For nearly 40 years, the census has regularly undercounted children younger than 5 at a much higher rate than any other age group. 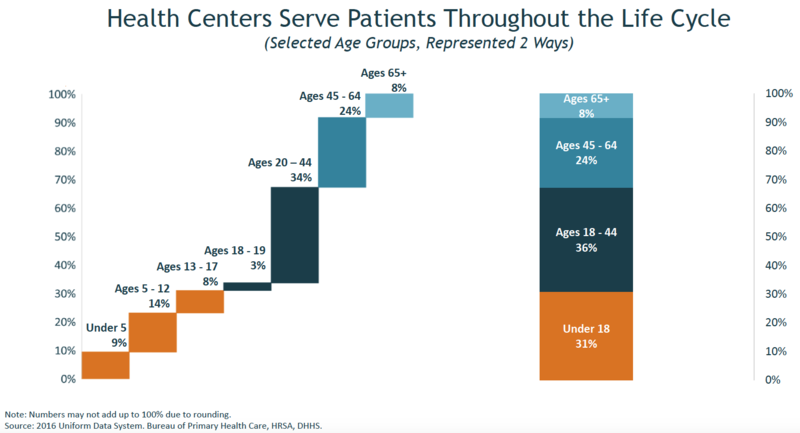 This chronic undercounting suggests a distressing disregard for the needs of children, especially those who need the services of community clinics and FQHCs. But “disregard” is a mild word for what we may face in 2020. And that’s due to one change in the census: inclusion of the citizenship question. At the behest of President Trump and the Justice Department, Commerce Secretary Wilbur Ross is adding a question about citizenship to the 2020 Census. That is expected to have a profoundly chilling effect on the response rate. Long before the Foundation report came out, public health officials,former directors of the census, immigrant rights groups and demographers--among others-- warned of just such an impact. They are worried, of course, about whether and how the information will be used by the government--especially ICE. Despite assurances that the individual information provided will remain confidential, many are skeptical. “In the past, the census would always make a big effort to tell people that they don't share their information with other government agencies. I think that's something people will not take too seriously this time,” William Frey, a demographer and senior fellow at the Brookings Institution, told CNN. In 1942, the Census Bureau produced a report listing the Japanese-American population in each county on the West Coast. In 2003-04,the Census Bureau provided the Department of Homeland Security with information on how many Arab Americans lived in each ZIP Code and the country from which they emigrated. We’re at risk of rendering the most vulnerable children invisible. More than 12 million children live with a noncitizen parent, and 82 percent are U.S.-born citizens, according to the Kaiser Family Foundation(KFF). Lawfully present immigrant children and non-elderly adults are about twice as likely as citizens to be uninsured, and the uninsured rate for undocumented immigrant children is nearly five times the rate for citizen children (23 percent vs. 5 percent). It’s understandable:Immigrants--documented or otherwise--may face increased challenges accessing coverage and care for a variety of reasons, including fear. Recent focus groups with immigrant families show that these fears are leading to decreased participation in Medicaid, CHIP and other programs, according to the KFF. All of this will have an impact on all FQHCs, but especially on community health centers that serve these invisible children. 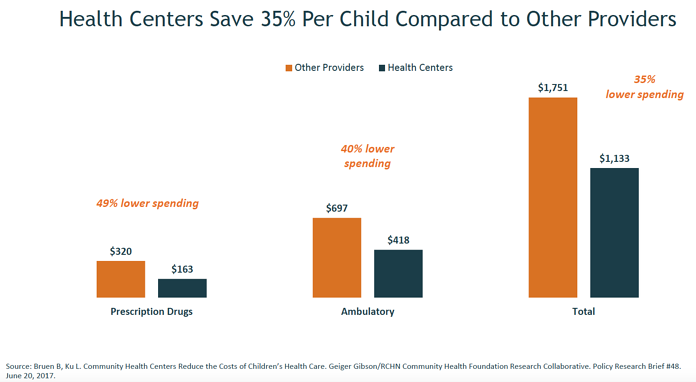 These organizations already face funding uncertainty and the losses due to Medicaid “reform.” And still, community health centers lower the cost of children’s primary care by approximately 35 percent compared to other providers. It’s not a matter of politics. It’s a matter of keeping your doors open. Our revenue cycle management(RCM) services allow you to stay focused on your objectives. We support Federally Qualified Health Centers(FQHCs), Community Mental Health Centers(CMHCs) and Certified Community Behavioral Health Clinics(CCBHCs) with solutions proven to result in higher remittance rates and increased revenue--money you can use to make sure these kids receive the care they need--that they remain visible.